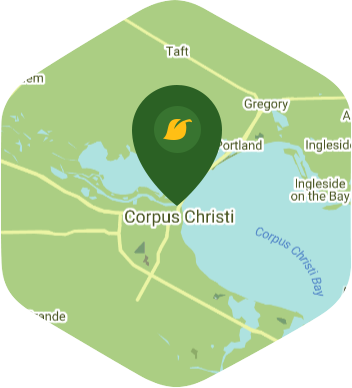 Book a skilled lawn pro in Corpus Christi. Backed by a total satisfaction guarantee and amazing customer support. If you want sandy beaches, scenic birdwatching locations, delectable restaurants, and a place where everyone will welcome you with a smile and open arms, then there is no better place to go than Corpus Christi. Many people are proud to call this city their home and quite frankly who can blame them? The city has such a diverse culture and so many scenic views that you'll never find yourself getting bored here. Speaking of scenic views, as a Corpus Christi homeowner you'd want your garden to look just as beautiful as the South Texas Botanical Gardens. Working on your garden will take up a good chunk of your time and no one wants to spend their weekends working on their yards. If you want your yard care done right, call the guys at Lawn Love. Our independent yard care experts can do it all, and they can do it all in the most efficient way possible. They have the experience and skills needed to turn your yard's fortunes around. Whether you want to have your weeds removed or gutters cleaned, you can bet that Lawn Love can get it done. With simple online access (including a mobile app), setting up your yard care service has been made even easier and faster than before. We would love to show you what we're all about, so call us now at 361-288-4550 or ask for a free online quote. Rated 4.75 / 5 stars in 100,655 Lawn Love customer reviews. Here are some average prices for homes in Corpus Christi. Average size of area treated 3,338 sq. ft.